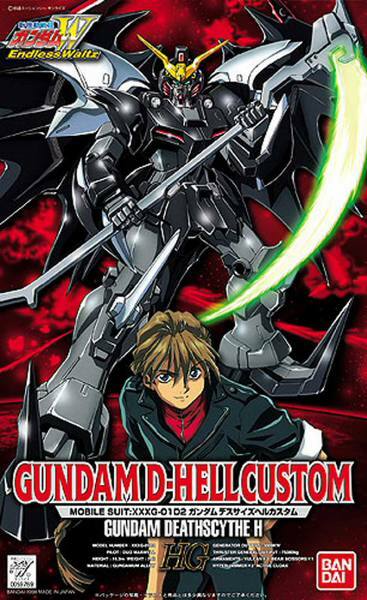 Gundam Deathscythe Hell as it appears in the Gundam Wing: Endless Waltz OVA. 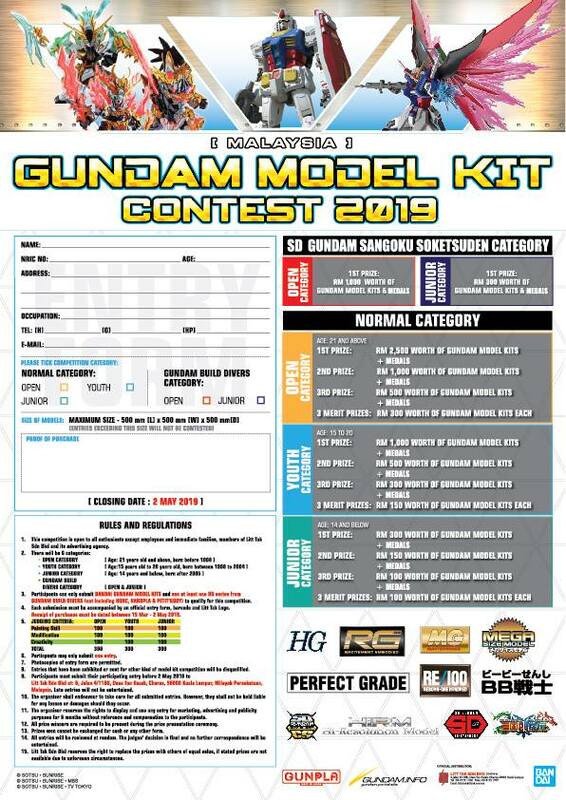 It features snap-assembly, is fully poseable and is molded in color. 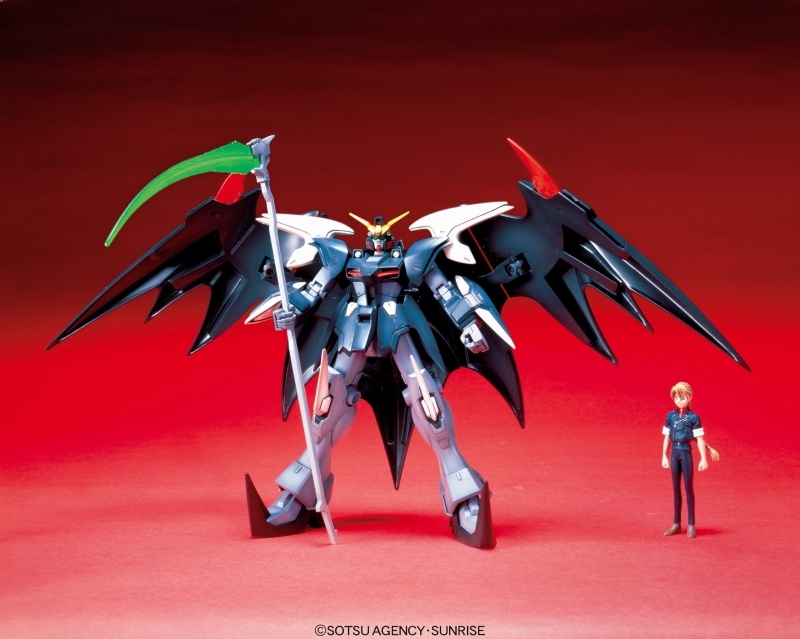 Large, bat-like wings on the back can fold around the model to produce a cloak-like effect. Of course the distinct beam scythe is included so you can recreate all the havoc-wreaking this suit does in Endless Waltz! Also included a 1/20 scale non painted Duo Maxwell figure.